HMI’s Elite™ aluminum storm doors balance function and style. Designed to protect your entry door from the elements, they are heavy duty and built to last while providing distinction and style. With 12 door styles and 23 matching entry door colors to choose from, your preference is sure to be met. Whether it is a traditional full view or convenient self-storing storm door you get what you want. Choose from traditional clear glass, grooved glass or glass with caming to get the look that fits your style. 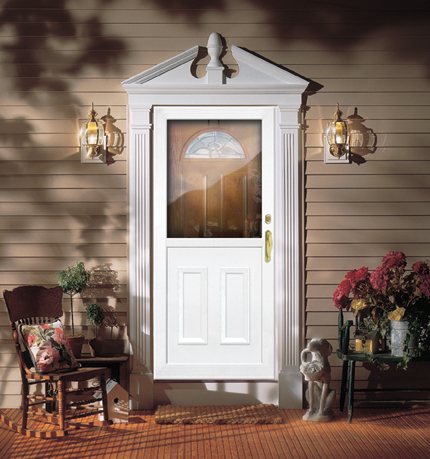 Available in 12 door styles, white is standard with 22 optional powdercoat colors matching the entry door.